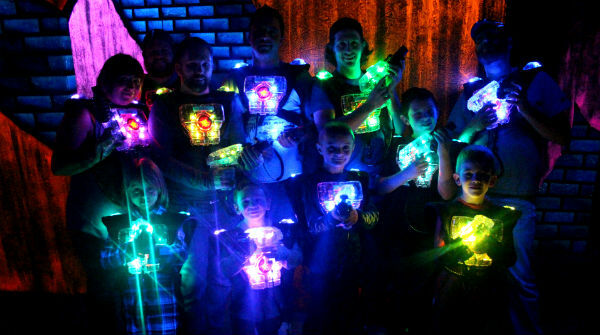 The NEWEST and BEST Laser Tag in Edmonton! Laser Tag - It's What We're Known For! Your heart starts pumping as your put the LED vest over your head. You feel the power of the phaser in your hands. It's go time! You rush into the multi-level blacklit arena, smoke in the air, music in your ears. Quick, find an awesome position allowing you to watch your back while still tagging the opposing team. Or become a lone wolf, roaming the arena looking for the people wearing a different colour to you. Whatever you choose, you'll be exhausted and smiling from ear-to-ear when that final whistle goes signalling the end of your quest! 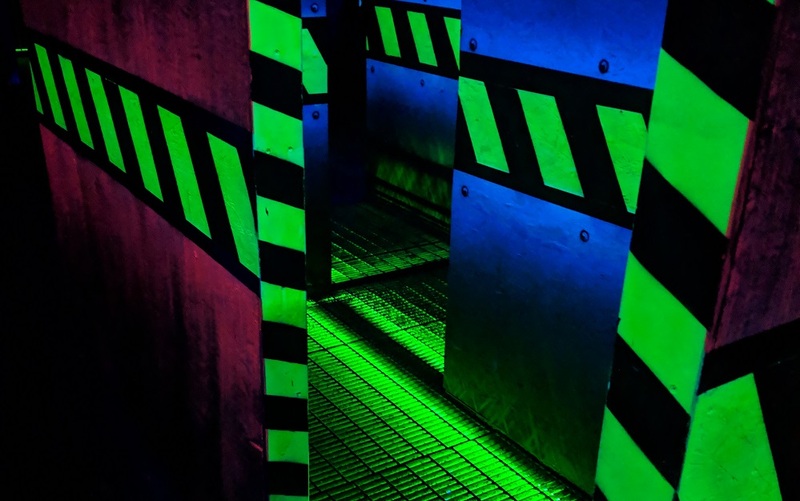 Whatever you're reason to play Laser Tag, whether it's a Birthday Party, Sports Team wrap-up event, Youth Group outing, Corporate Event, or just for fun, we're Edmonton's number one Laser Tag destination! 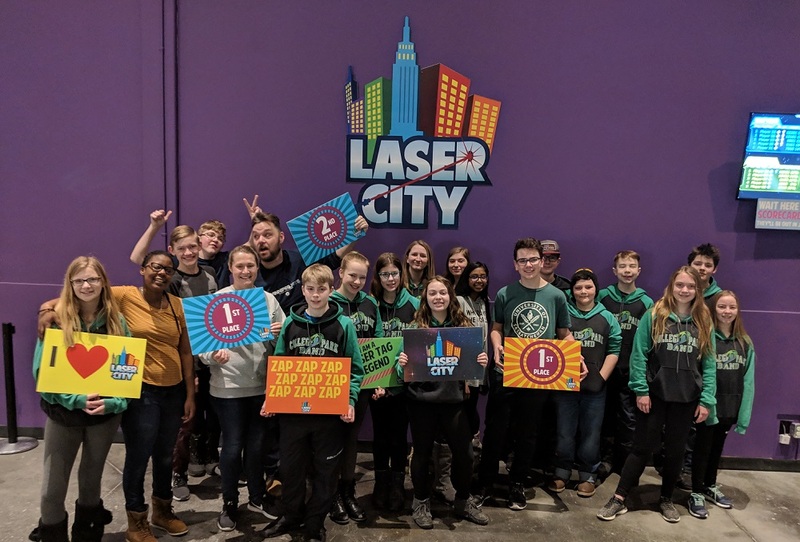 Click below to learn more about hosting your special occasion of event at Laser City! Why are we the best? Simple! We have the best equipment (smaller, lighter and more accurate), the best multi-level UV Black Light Arenas, plus a second-level Viewing Room for non-players to check out the action. 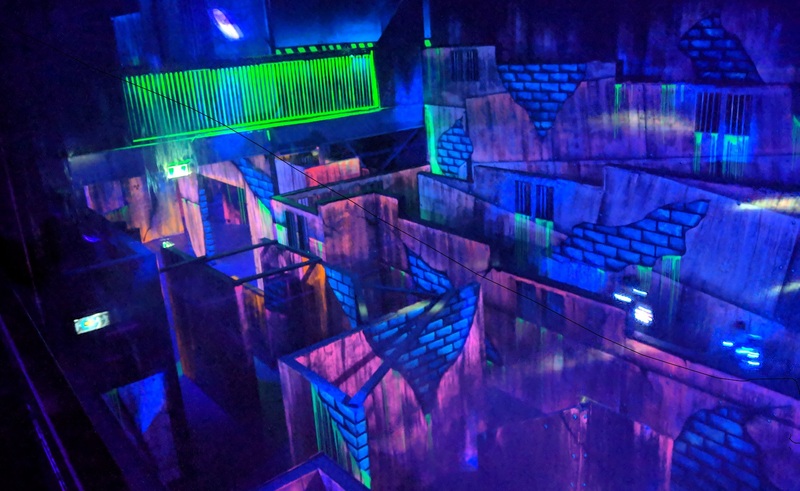 Laser City is your best choice for awesome laser tag action in Edmonton! Our equipment is the lightest in the industry. Even the youngest player can wear it! Compare your scores and take them home for permanent bragging rights! Some 5 year olds are able to play, as long as they can understand the rules and aren't scared of the dark. Laser tag is also absolutely appropriate for adults too! Want to see what's going on in the Laser Tag Arena? Visit the second floor viewing room to see all the action for yourself! Nothing is worse than being sure you hit someone but it not counting. Our equipment hits every time! Each game itself is 15 minutes, but the whole experience (mission briefing, equipment, game, scorecards, etc) takes 20-25 minutes. You can do 2 games in 1 hour! As well as Blue vs Yellow, we can also play 3 team, 4 team and individual games. Special games like Zombies are available at our special events too.